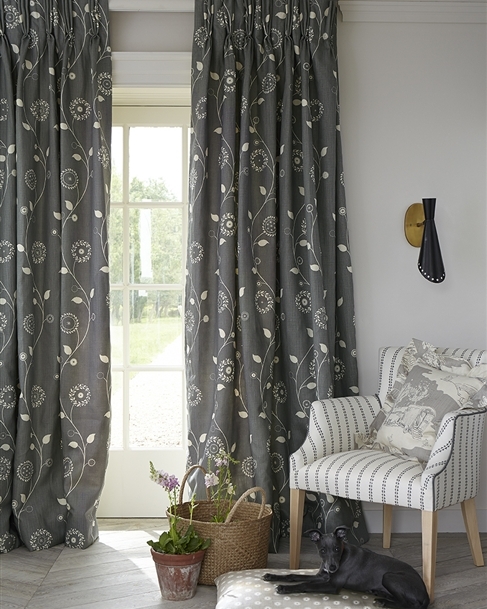 We can make Made to Measure curtains using our designer fabric to your exact requirements, to fit any window size or style. Each of our bespoke curtains can be beautifully made for you by professionals in our traditional workshop based in the UK. They are hand finished with great care and attention and delivered to you well within eight weeks. Before you take out the tape measure, decide how high above the window you'd like the curtains to begin. Top tip! Hanging curtains higher than the window will give a sense of height to the room. 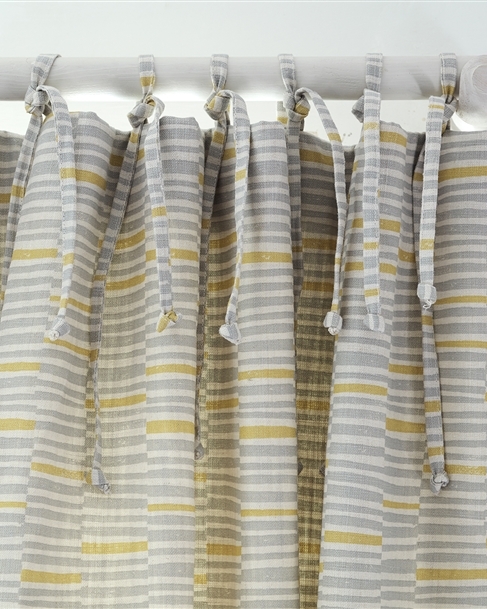 Do you have any tips for prolonging the life of curtains? Unfortunately, fading from sunlight is always possible. 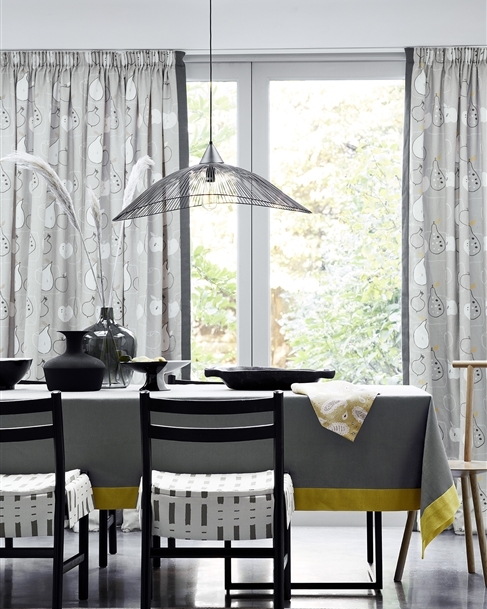 Here are some tips to help prolong the life of your curtains – you can draw them well back from the light, you can line and interline them, you can also draw them with a pulley system to avoid making the leading edge dirty. 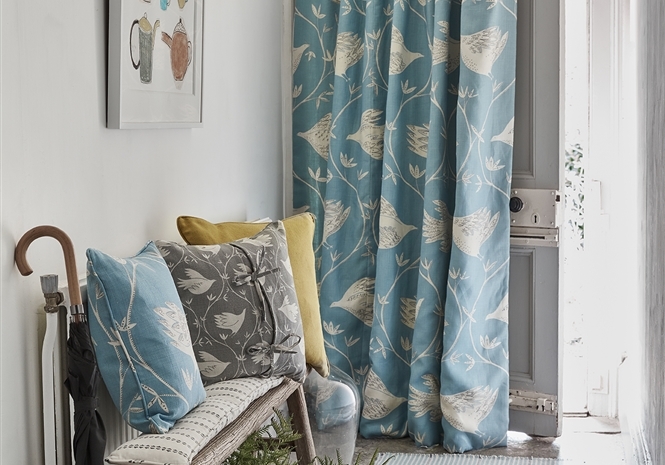 Swapping the curtains over from time to time helps to keep the leading edges of the fabric, which is the most exposed to sunlight, at a minimum or perhaps adding a border to the leading edge where the fabric will be most vulnerable. Some fabrics can help keep out the cold. Many hotels use velvet or tweed since their weight helps block light and keep heat in. Still, all of my designer fabrics can be interlined with bump, a thick, insulating felt material. 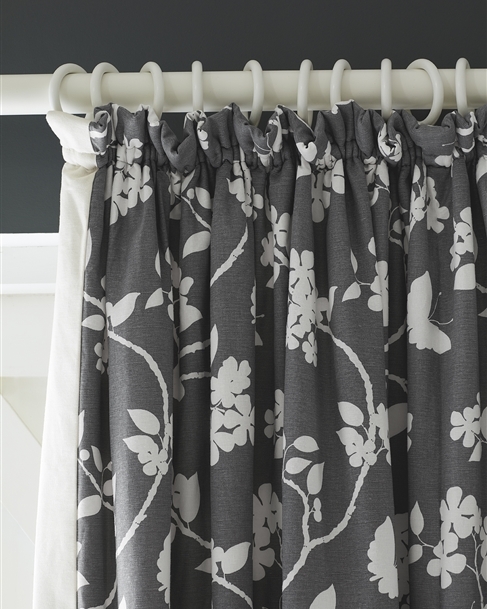 This interlining — a piece of fabric slipped between the lining and the face fabric — can also help prolong the life of the curtains. 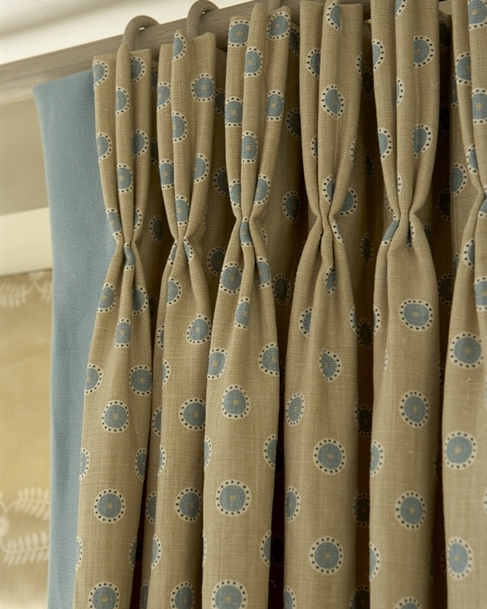 Lining and interlining are what give curtains their body and fullness. 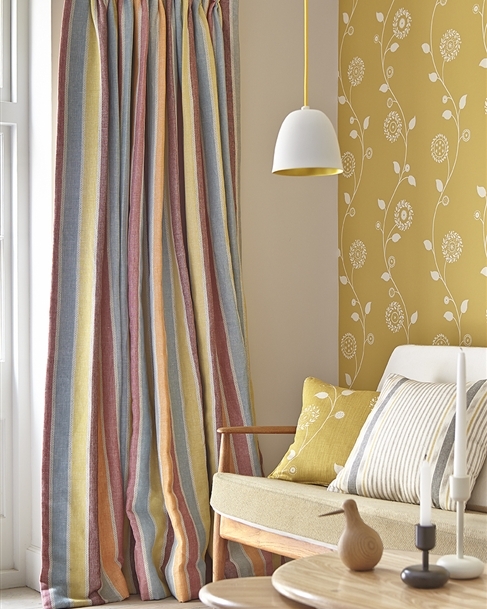 What style of curtain heading do you recommend when choosing bespoke curtains? 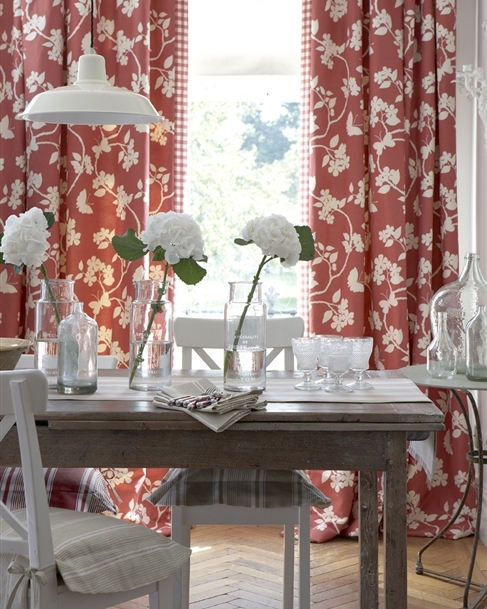 Double and triple pleat headings are smarter for a dining room. 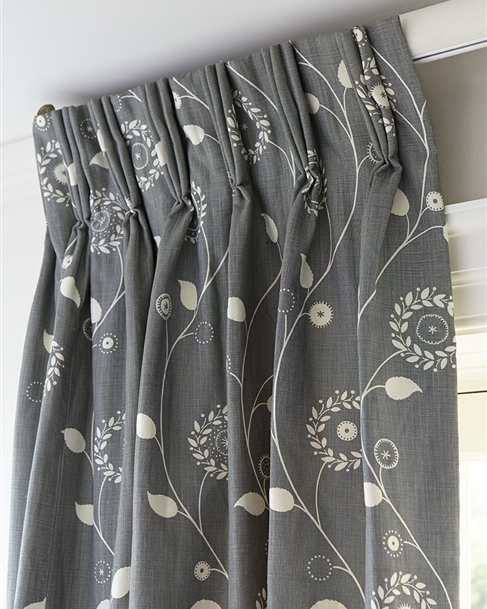 They have the benefit of several different hook positions, allowing you to alter the length of the curtains if necessary. 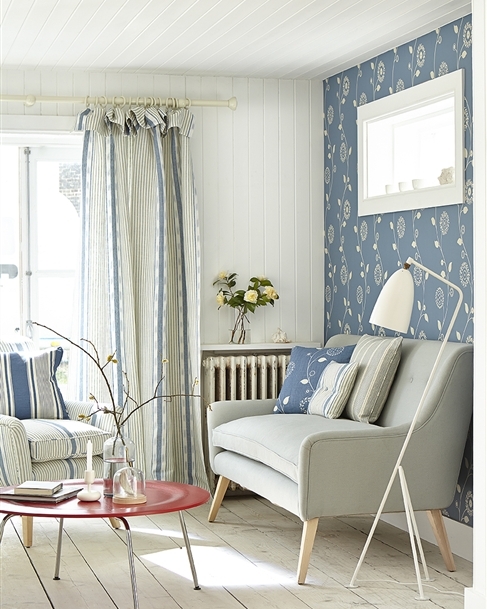 If you want a more informal and softer look I would suggest our cottage pleat or flop over frill headings. 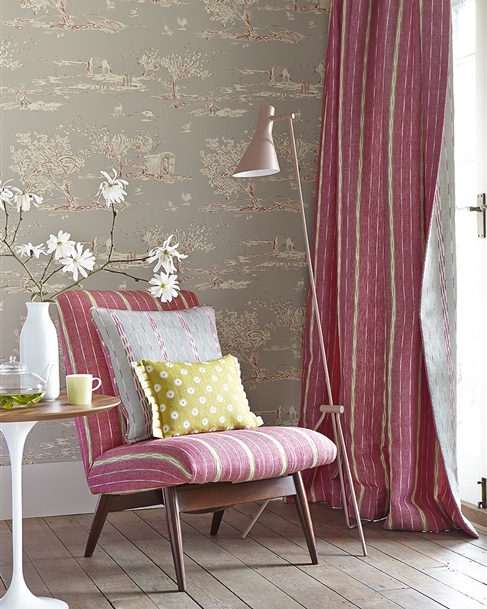 A pencil pleat heading has the benefit of being adjustable in the width if you move house. You can also choose to line your curtains with a simple lining or add in a warm interlining for insulation and a more luxuriant look. Curtains can also be made with a blackout lining should you wish to eliminate light. If you would like to know more about our Made to Measure curtains then please do not hesitate to get in touch with us today. We are a friendly team who are on hand to take your call and are more than happy to assist you with anything that you may need. Please remember that pattern repeats and fabric widths are automatically calculated if you order through our web site. It is advisable to fit your pole or track before ordering your curtains. Your pole or track should ideally extend 30cms on each side of the window so when drawn back light is maximised and at least 15cms above the top of the window to block out as little light as possible again. Please use metric units only when measuring. Finished Length for pencil pleat, triple pleat, double pleat and inverted pleat - when measuring the finished length using a curtain pole we recommend allowing between 2cms and 5cms above the eyelet on the underside of the curtain ring, depending on how much of the pole and rings you wish to hide. From the measurement you choose above the eyelet, measure down to the bottom of the hem (see B & C) and that is your finished length measurement. Finished length for cottage pleat - these have to be made be a 3cm single position tape which makes the finished length non adjustable. To measure the finished length for this header, please provide us with the distance from the eyelet to the floor and add 5cm for the cottage pleat. Finished length for flop over frill - these curtains have to be made with a 3cm single position tape which makes the finished length non adjustable. To measure the finished length for this header, just give us the measurement from the eyelet to the floor. Don't add any extra for the frill, we will do that. Please note, we will add 25cm for hem allowance. Width - If you have a track, measure the total length of the track, including any overlap where the curtains meet in the middle. 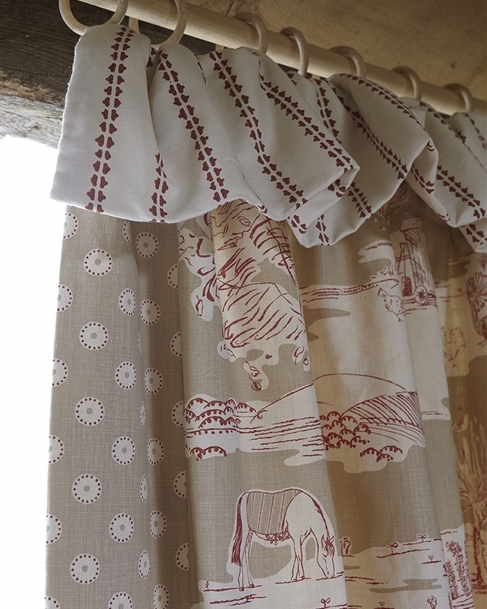 Finished length: For cottage pleat curtains - these have to made with a one inch single position tape which makes the finished length non-adjustable. To get your finished length measurement, just give us the measurement from the eyelet to the floor and add 5cm for the cottage pleat. Finished length for flop over frill curtains - these have to made with a one inch single position tape which makes the finished length non-adjustable. To get your finished length measurement, just give us the measurement from the eyelet to the floor and don't add any extra for the frill as we will do this. Please note, we will add 30cms for hem allowance.